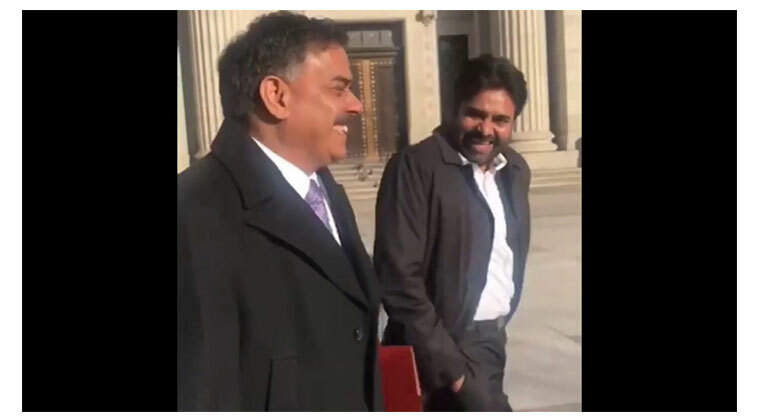 Home English Guess Why Pawan Kalyan is visiting Washington? Guess Why Pawan Kalyan is visiting Washington? As was reported, Pawan Kalyan will be touring in USA. He will be participating in Janasena fund raiser events. He will be conducting meetings with NRIs and intellectuals in Dallas. Pawan Kalyan will be visiting Washington as well. He will meet Housing and Urban Development Secretary to discuss on urban development. He wants to learn about policies and investment plans they make in backward and under developed areas. Apparently, Pawan wants to implement them in Andhra Pradesh. Power star has announced that he wish to become CM. Though political analysts feel that Janasena may not achieve seats to form government but at the same time they opine that he will polarize votes and win considerable seats to become crucial for any party to come to power. So, with his knowledge of urban development in USA, he would question the government on respective issues. Click here to check Pawan Kalyan’s USA tour schedule. Previous articleఅర్బ‌న్ డెవ‌ల‌ప్ మెంట్ కోసం వాషింగ్ట‌న్ లో ప‌వ‌న్ క‌ళ్యాణ్..
Nithiin to work with experimental director!